Meeting strangers can be…well…a strange ordeal. Either everything can go well and leads to a new friend or everything goes wrong and leads to creating a missed opportunity. In the business world, this is more crucial as it can lead to potential future opportunities or be the very downfall of a career. The developers of CanWeNetwork want to make it easier for people to meet and discuss future business endeavors and/or grow their network base. CanWeNetwork is a free app, available for the iOS and Android (Blackberry OS 10 and Windows Phone 8 versions are coming soon), is networking others with similar professions to meet and discuss new opportunities. CanWeNetwork is like Match.com for people looking for similar business opportunities and networking. Using geo-spatial technology, the app searches and recommends any nearby users to meet and create a possible business ally. The algorithm finds a match based on BioMatch, Social, Composite, Skills, and Proximity. Bubbles with percentages appear around your profile and gives the user the nearest matches around their current location. Tapping on one of the bubbles brings up a profile of a match and you can proceed to message them or delve deeper into their profile to view experience, skills, education, and recommendations from other people. The app leads to accurate matches of profiles whom may be a potential new partner or opportunity. No matter how far a match may be, it can lead to more than just a, “Hello.” CanWeNetwork gives people to reach out and network in new ways. 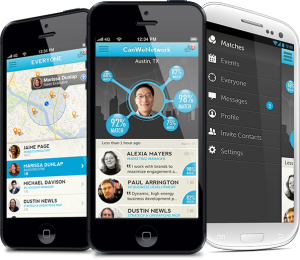 The app even lists any event nearby and lets users to join and view others who may be joining the same event. This allows users to meet and see the various people who work in similar fields. The clean and simple interface is also a plus, as it doesn’t crowd the screen with buttons or words that distracts the user from focusing on finding a new network. CanWeNetwork has a great future ahead and it will only grow as the community grows. 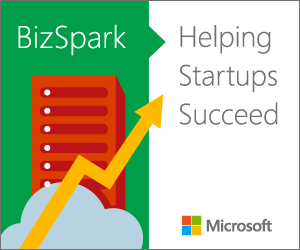 People are constantly looking for better business opportunities and partners to expand their social network. CanWeNetwork will work if it focuses on connecting people and bring in more people to create a larger community. With an app like this, meeting someone wouldn’t be as strange or difficult as it once used to be. 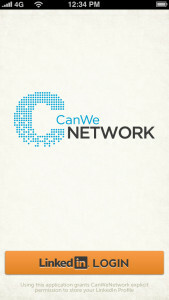 Try and network with other potential partners at CanWeNetwork.